A shadowy trail leads the Taskforce to Egypt–where an attack leaves one Taskforce member dead and another barely alive. Veteran warrior Pike Logan and his young partner, Jennifer Cahill, are forced to helm the increasingly convoluted and dangerous mission: a mission that tests both Jennifer’s ability to justify her actions, and Pike’s tenuous ability to stay in control. 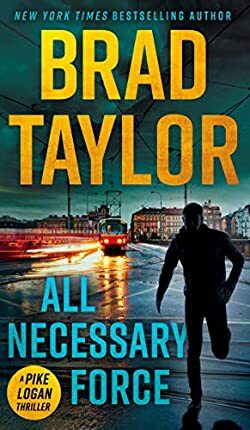 Told with unparalleled realism informed by Taylor’s decades of experience in the Special Forces and Delta Force, All Necessary Force takes readers on a terrifying and relentless ride.